I love Slate Magazine! In a snarky and clever way, they examine a topic thoroughly without beating it to death. 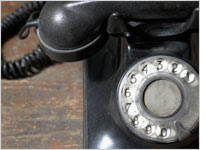 Thake for example Daniel Gross' recent article on the decline of landlines and the reason for their decline and possible demise; you'd think this subject had been covered ad nauseum by the media but no! Mr. Gross makes sense of the massive FCC report and discovers that its not just the proliferation of wireless, it's also the economy. It turns out that folks needing to make hard economic choices will forgo a landline in favor of nixing actual necessities. No kidding, this is a good read. What's a cash-strapped provider to do? Either sell assets or lay-off (even) more staff, of course! Sprint Nextel chose to do the former, and sell of towers. In an arrangement with TowerCo, they will lease back these towers to focus on their core business. Looks like a good deal for both parties. 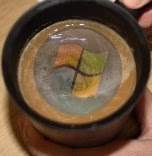 In a recent article from Webmonkey, Microsoft asked a group of Windows XP users to try a new operating sustem, code named "Mojave". What they didn't know was they were trying Vista right off the shelf. The positive results were aparently recorded for future advertisements. Isn't it interesting how otherwise decent products never become popular because they are marketed badly? The reverse seems to be true as well. It also doesn't matter how big or powerful the company is, either. Here is one of the best explanations I've seen to explain the differences between the "generations" of wireless technology. Craig Mathias from Farpoint Group has a video that simply whiteboards the whole wireless evolution, from analog cellular to where we may be going in the 4G world. "...asked people to post striptease videos of themselves, and promised to donate a new item of clothing for every five times a video was watched. Called Strip2Clothe, the campaign was a partnership between Virgin Mobile USA and the National Network For Youth (NN4Y), a Washington, D.C., lobby group representing more than 150 homeless youth focused organizations." The campaign has been temporarily shut down. According to von Fuchs, the site is still up but has been stripped of information and videos. It's about time! Wildblue, the satellite Internet provider that caters to rural America, has just increased it's capacity allowing for an additional 150,000 subscribers. This is big news when you consider that prior to this "upgrade", the only way to increase service would have been to launch a new satellite. Given the difference in cost and time, this is far preferable. NOTE: In the interest of full disclosure, I have trained many Wildblue installers personally. 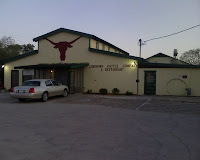 On the recommendation of a friend, I traveled to the Longhorn Cattle Company and Restaurant, somewhere on the outskirts of Harlengen, TX. This place has all the charm of an open-air barn. They've been in business for what seems like forever judging from the decor (or lack thereof). As expected, the food was excellent and highly representative of the region. This place is known for two things: Steak and Barbecue, and they do both well. All the Q is Mesquite smoked, while the steaks are grilled over a mesquite fire (not charcoal). Mesquite is the local hardwood and it grows everywhere. While plenty of eastern pitmasters would rather die than put mesquite in their smokers, South Texas thrives on the stuff. I personally love the taste of mesquite as it has a noticeable, smokey flavor. BBQ in Texas rarely includes pork, but being the fan of babybacks that I am, if it's on the menu, I'm ordering it. The ribs were served dry, with a fall-off-the-bone quality that's hard to fake. The only noticeable flavor was mesquite. The sauce served with it was tomato based and served warm - it was heavenly. Sides included charo bean "soup", cole slaw and a potato salad with relish and BBQ sauce in it (odd, but good). Next trip, I'll go for the steak but as my reader(s) know, I can't resist good BBQ.